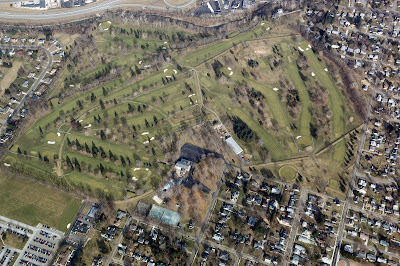 The Octagon Earthworks is one of the most spectacular surviving remnants of the Newark Earthworks. The architecture of the Octagon Earthworks encodes a sophisticated understanding of geometry and astronomy. The Octagon is connected to a perfectly circular enclosure 1,054 feet in diameter; it is also National Historical Landmark and is on track to become a World Heritage site! Portions of the Octagon Earthworks is open to the public during daylight hours 365 days a year, but much of the site is used as a private golf course for most of the year, so access is restricted. Four times each year, however, golfing is suspended and the entire site is made available to the general public.